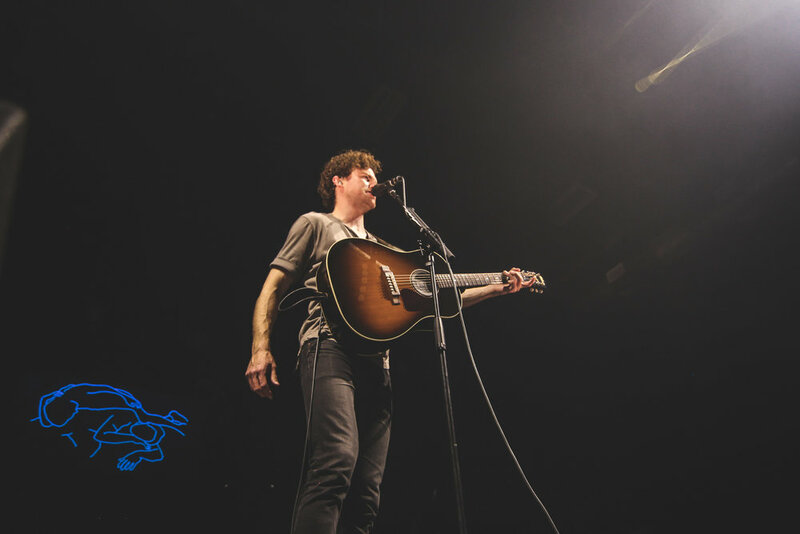 I had the honor to photograph Australian native singer, Vance Joy on his Nation of Two US Tour this past Sunday in Oklahoma City, Oklahoma at the Criterion. 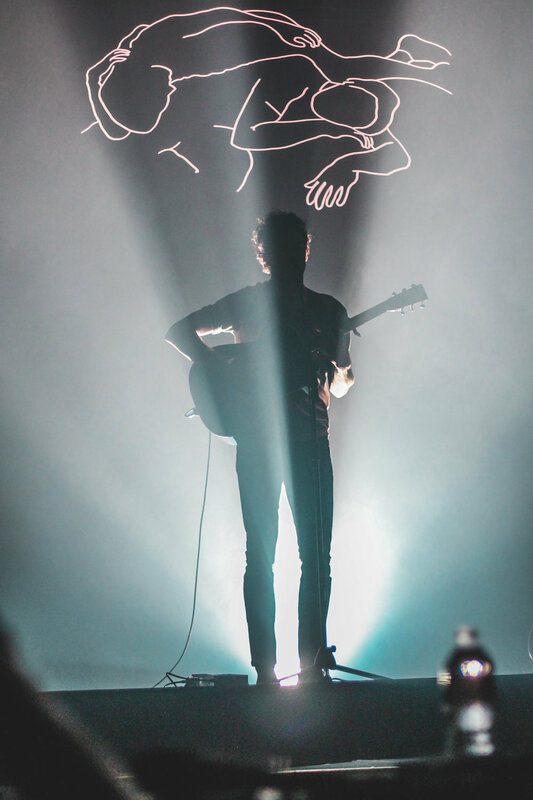 Opening his set, the Aussie singer stood a little towards the back of the stage allowing the smoke machine to cast over him, causing him to look like a shadow. After a few of the cheers died down, he effortlessly strummed the beginning notes to Call If You Need Me. By the end of the first verse, a spotlight shined bright on Joy’s face drawing deafening screams from the crowd as he transitioned into the chorus. I found it very refreshing to hear him opening with that calming song rather than a big hit sort of tune. 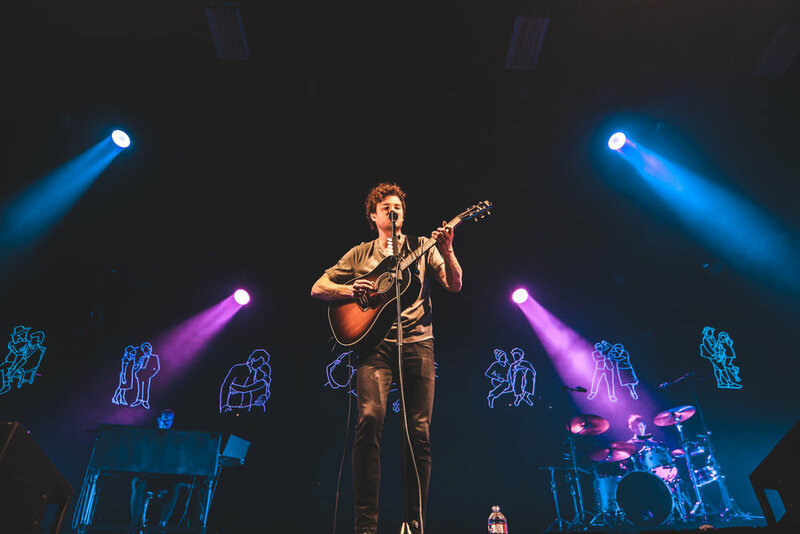 The vibe of the entire venue felt cool, and euphoric which was something I didn’t completely expect at the start of a show; so props to him on that song opening! 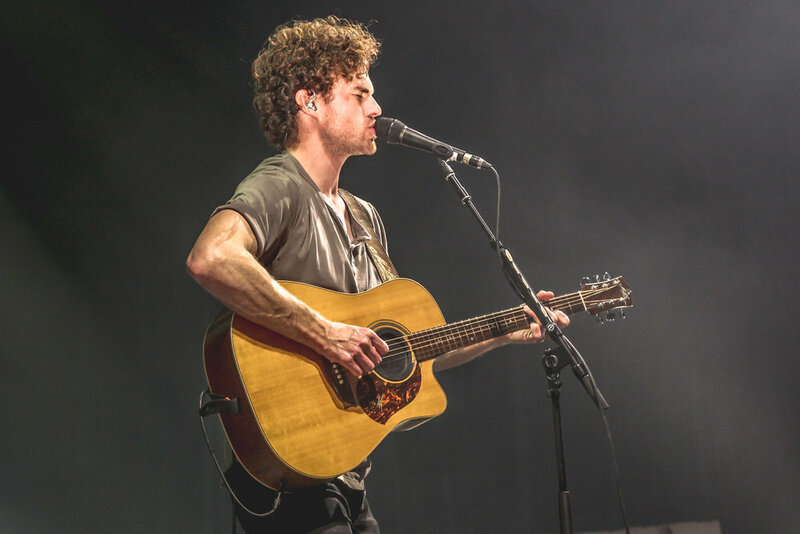 Now, I have never seen Vance Joy live but let me be the first to tell you that this 30-year-old singer/songwriter really knows how to put on a show. He played his guitar for every song, (and a ukulele for the final three) accompanied by a live band. He gave the audience his undivided attention and the roaring crowd did just the same. 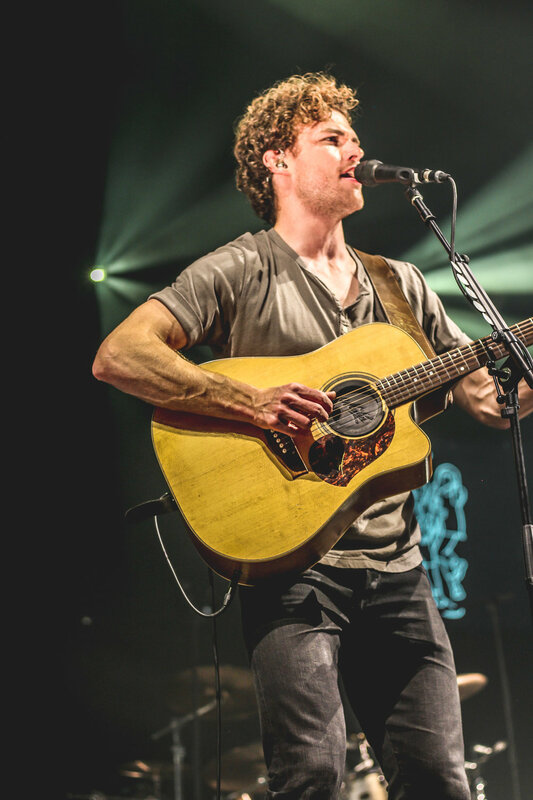 Joy went back and forth between his two albums, playing songs off the new album such as ‘Lay It On Me’ and ‘Saturday Sun.’ as well as some oldies such as ‘Fire And The Flood’ and ‘Mess Is Mine.’ But the loudest and most fan-crazed songs of the night were during his mega hit ‘Riptide’ (which charted for 44 weeks on the Billboard top 40), as well as his incredible mashup of Lionel Richie’s 'All Night Long' and Justin Bieber’s ‘Sorry.’ I had to put my camera down and dance to that Richie/Bieber mashup because..who wouldn’t? 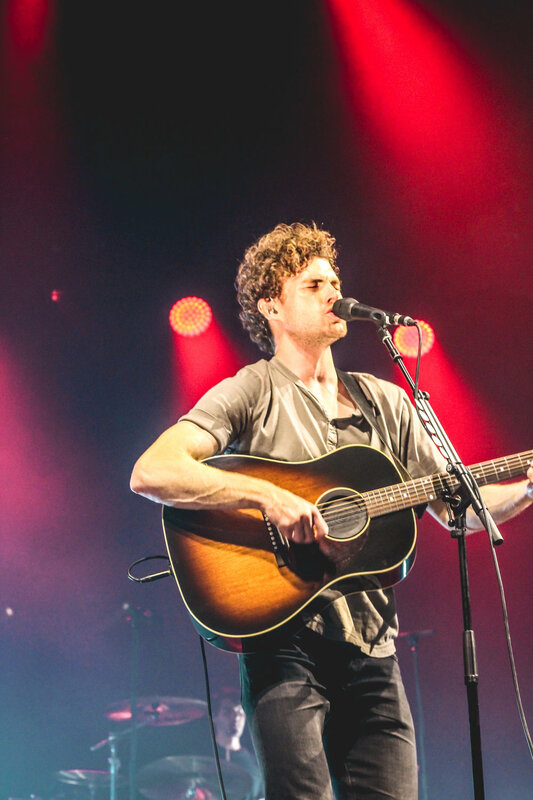 Vance Joy put on an amazing, refreshing, and overall energetic show that I would definitely pay to see again. This young and happy singer has so much ahead of him in his career and I personally am glad I got to witness a small piece of that talent at his gig!